Most Canadians prefer to die at home, yet almost 70% of deaths occur in a hospital. Most older adults die either in hospital or a long-term care facility. When we are called to receive the deceased into our care, we respond with care and compassion. Funeral directors have been trained to demonstrate dignity and respect for the deceased. For a number of years, we were asked to receive the individual through a back door, hidden from public view and away from the eyes of other residents and staff. This practice continues in some facilities. Others have chosen to implement a new way of doing things, one that demonstrates dignity and respect for the deceased. The practice of forming an honour guard as the deceased is escorted out of the building, began a few years ago, in some long-term care homes. Some have designed a homemade quilt or afghan to drape over the stretcher, during the procession from the room to our care. The staff form an honour guard on either side of the hallway or doorway. It is a powerful show of respect to witness. 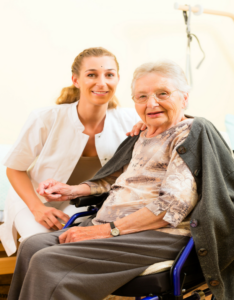 It also signifies the very special relationship between residents and their caregivers. For those of us who have worked in long-term care or acute care, we know the very special bond that can develop. Living on Prince Edward Island, we are often called to care for family, neighbours and friends. Everyone deserves to be treated with respect. We need to ask ourselves, what are we hiding? Are we afraid if someone witnesses death, that we may have to answer uncomfortable questions? Confront our own mortality? It’s time our death denying culture changes. We need to have conversations about death, ones that include honouring one’s wishes, and demonstrating dignity and respect for all. Kudos to the long-term care facilities who have developed policies and procedures that outline dignity and respect for the deceased.